The Spanish House is a mixture of designs, Georgian, Gothic and Moorish, as if whoever started it had simply got bored. It has long been known as an architectural folly to locals, and is now nearly derelict to boot. When its reclusive owner dies intestate, the Spanish House is left to his city-dwelling niece. For Isabel, recently widowed, the house is a potential lifeline - the only hope she has of providing for her two children without having to sell her most treasured possession. I really liked this story of a widow with two children who inherited a huge Spanish house in the country. Isabella, the young widow, whose deep passion for her violin and music, perhaps is too high a priority, has to learn a totally new way of life. But what I appreciated and most loved about the story was the honesty in which it was written. People DO have to go through hardships and work through grief in order to value what is most important in their lives. This isn't a cheap or tawdry tale, although there are some in the small town who make some unfortunate and selfish choices. There are MORE that make better choices and are loyal and end up doing right by their neighbors. The novel is hauntingly beautiful and meets my criteria of having an ending worth the wait. Jojo Moyes is my favorite. Jojo Moyes is my favorite author now. I read one of her books and loved it so I tried another. most of the time I am disappointed in the next book I read by the same author, this time I was pleasantly surprised. So I dared to do it a third time and then a fourth. I have thoroughly enjoyed all of them and give them 4 stars each, something I rarely do. Night Music hit all the right notes (ha ha). :-) I really enjoyed the story and the narrator was very good. The story is good from the beginning to the end with no boring parts. I'm also glad the author knew when to end the story and did not extend it longer than necessary. It was thanks to this book that I got all the windows in the house washed -- inside and out -- the garage floor swept and both the linen closet and the sewing room reorganized. I couldn't stop listening -- I had to find some way to justify taking the time to keep listening. 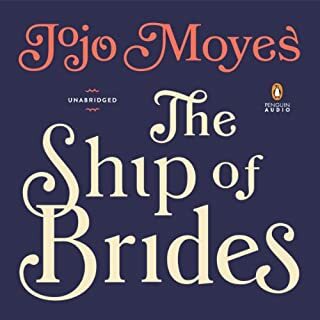 This was my first exposure to Jojo Moyes -- never heard of her before, never come across any of her books before this one, when I rolled the dice on yet another really great Daily Deal. "Night Music" won't be the last -- except that I expect I'll listen to this one a few more times before I'm finished with it. It's funny, I see other reviewers saying that this isn't Moyes best book, which just blows my mind. Can't quite see how any of them could be better than this, but... hey, I'm willing to try. Maybe it's just me, but there's something about a battle over a house that attracts me. Another of my favorite books (not the film) is Andre Dubus III's "House of Sand and Fog" which also involves a house everyone wants, and the emotional pull such an embattled dwelling can bring about. 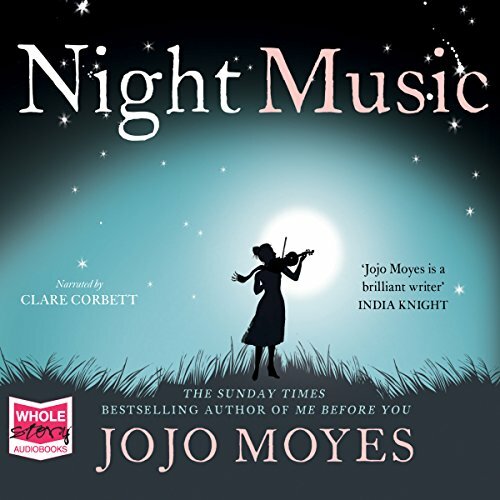 "Night Music" is very different from that book -- maybe even better -- but I felt the same compulsion to keep listening until it all got worked out. Of course "Night Music" is really about the people -- the fragile, wounded, too-trusting professional violinist who inherits it, the corrupt builder who pretends to help restore it, but has evil plans of his own, the children caught in the middle of it, the guy who's camping out, unknown, in the boiler room... and the rabbits. Can't forget the rabbits. What can I say? Don't miss this one. Your own house will be a whole lot cleaner by the time you finish! What did you love best about Night Music? Picturing the scene where the house was set - the village and characters. It was ok I think. I listened to this book about 4 weeks ago and I cannot actually remember the ending...so I guess it wasn't very memorable! Not really, it was a bit predictable. I liked the Byron character, so I think his relationship with the young boy would be the most compelling relationship of the story - therefore a bit moving I guess. An easy listen...not overly memorable or anything...but 'nice'. While this might not be one of my favorite JoJo books, it was enjoyable. She does a good job of developing her characters. The plot wasnt exactly original but it was enjoyable. The narrator does a nice job and the book kept my interest.Recommend it if you are looking for an easy listen. Jojo Moyes is one of my favorite authors. I've read just about everything she's written. My usual rating of her novels is 4 or 5 stars. This book was a real let down.I stayed with it until the end- hoping it would get better, but it didn't. There were too many characters and it was hard to keep them straight. The plot seemed pretty thin and there were too many extraneous forks along the way. What did you like best about Night Music? What did you like least? Well I'm sorry to say this was not to my liking. Too slow at the beginning. I had to listen some of the chapters over just so I could follow it. What aspect of Clare Corbett’s performance would you have changed? The narrator. I had a difficult time understanding her. Do you think Night Music needs a follow-up book? Why or why not? No. This story was all over the map. I'll will be more careful to pick my next book. Sorry I wasted my credits. I love Jojo Moyes books! Not this one. Too depressing, too frustrating, and too slow to all come together. Loved this book. Like all her other books, the characters are well developed. The story is interesting with lots of twists and turns. It’s great!! I couldn't wait to get back into the car to hear the next segment of this book. I would definitely recommend it. The characters are described very well so well you can almost picture each person and each scene. The narrator was by good too. Definitely worth downloading. 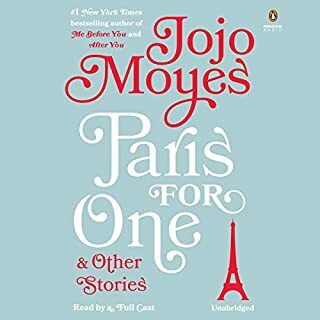 This is my 4th Jojo Moyes audible book and each one is so different with one thing in common, you have a problem in putting them down. I think this may be my favourite but then again I think that about each book. and I'm about to start my 5th. This is one talented author. Big fan, Jojo, but this was, sorry to say, not your best and rather by-the-numbers. Jojo Moyes' descriptive writing is amazing. I loved the description of being out in the woods, I felt like I was there. 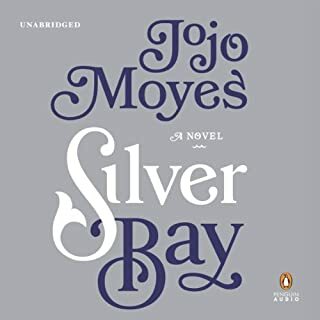 Jojo Moyes left me hanging for more, I wanted her to impart Boyd's knowledge of foraging so I could do it for myself. Kitty was performed well. I didn't like her performances of the two supposed men in their 30's, they struck me as being older and took some of the passion of this story away for me. A brilliant book, left me wanting to immerse myself in music and nature. 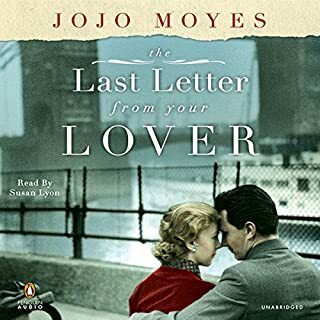 I loved this book, one if my favourite of Jojo Moyes. What a talented writer. I could totally picture the characters and The Spanish House. I would thoroughly recommend the book and the beautiful job the narrator did reading it. This book had me right from the beginning and transported me to another place. No great storyline or plot but the development of the characters was brilliant and kept me hooked. The narration was fabulous had to keep checking it was just one person with different voices for each character. Definitely recommend. 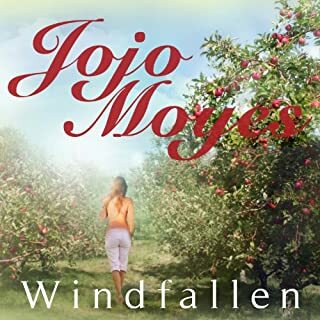 Another great novel by Jojo! Have you listened to any of Clare Corbett’s other performances? How does this one compare? I haven't listened to other performances by Claire, but she did an excellent job here. I really enjoyed this book. 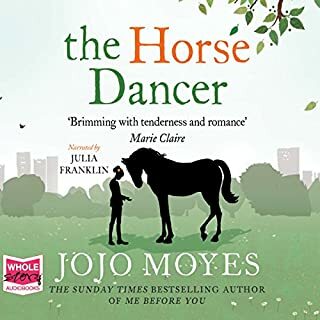 As is the case with the other Jojo Moyes books I've read, this one moved along at a pace, whilst allowing each character to really come to life. I considered 4* here because it was not quite as fabulous as 'The One Plus One' and 'Me Before You'. However, they were truly exceptional novels and, taking account of the genre as a whole, Night Music is still definately a 5* read. loved it. Couldn't put it down and sad it's finished. I will read /listen to all her books. I've never read Jojo's books before and thought I'd give it a go after reading positive reviews about her work. The story couldn't be more predictable and far fetched. The writing style is unimaginative and I was bored with the listen despite Clare Corbett's fantastic narration. She couldn't save the book for me. I am a fan of stories that make you wonder what's next in store for the characters that are developed and unique, stories that you think about well after you finish the book. I'm a fan of Murakami, Coelho, Moriarty so perhaps the bar was set too high in my mind. I won't bother with any of her books again. My first impression is that it's a novel for women. All about relationships amongst the various characters. It obviously has much more than that because despite whatever chauvinist tendencies I may have I finished it in two days. The story flows evenly from chapter to chapter. Whenever I resumed listening I was quickly hooked. It is an easy listen and uncomplicated. The narration by Clare Corbett was up to her usual good standard. I thought it was a great listen. Great story with lots of interesting characters. A couple of good twists. The narrator was mostly good but she made Byron sound about 60 instead of 32. And Kitty sounded about 10 instead of 15. Guess it's hard for one narrator to put on a number of different voices. Night Music : the melody lingers on. Jojo Moynes has a gift for developing characters and bringing them to life. The depths of the human psyche; raw emotions, struggles, strengths and weaknesses are explored and exposed in this beautiful story of discovery. This book was exceptional, but i have come to expect that from this Author. Clare Corbett as always 10 out of 10 for her reading of it.